When you apply to rent an apartment in California, one of the first things you’ll need to provide is your credit report. If your rating is low, you may lose that apartment to an applicant with a better credit rating. Why? If you were going to be collecting money regularly from someone, you’d want to know they’d pay you on time and in full. Right? That’s what landlords want to know and your credit report tells them how trustworthy you are. Of course, a credit report doesn’t tell your life story. Maybe your score is low because of past financial problems that are now resolved. But there’s no note on the report that says, “ignore the score, they’re okay.” A good credit score is important whether you’re renting an apartment or buying a car. A good score will help you gain access to the things you need (like housing and transportation). Furthermore, a good score will contribute to getting lower interest rates and save you money in the long run. If your credit rating has suffered a few dings in the past, there are still valid options available for consumers who need to purchase a vehicle. For example, those in the market for a car can certainly check out two-in-one used car dealerships and financiers who often feature great vehicles with reasonable terms. According to Bankrate.com, the upswing in the economy coupled with the loosening grip on lending funds makes this a really good time for potential borrowers to negotiate a car loan. The following are a few tips to make the process easier. First, check your credit report. While the credit-reporting industry has “tightened up” over the past few years, there’s room still for mistakes on credit reports. The problem is, when your credit has already suffered damage, a few challenges (even very slight ones), can push you under the threshold for some financing companies. You can pull your credit report from all three credit-reporting agencies — for free — by visiting AnnualCreditReport.com. You can also get your most recent FICO score (the numerical score lenders review) for a small fee at MyFICO.com. Become as prepared as possible before purchasing a vehicle. Subprime lenders take a look at your overall picture, so have the proper documentation ready. This alone suggests that you’re responsible and a serious buyer. While different companies will have different requirements, some of the standard documentation includes presenting a valid driver’s license, recent pay stub, current utility bill, proof of insurance (or the ability to acquire insurance) and, in some cases, a recent tax return. In addition to preparing the necessary documentation, experts suggest saving up for a down payment. According to Fox Business, having a 20 percent down for a new car or an 11 percent down payment for a used vehicle is considered a good rule of thumb. High down payments are always a good idea and communicate to finance officers much differently than having an auto trade-in with equity, especially for individuals with a damaged history of credit. As much as you may desire a new vehicle, consider a used vehicle instead. Folks with bad credit can peruse used cars at buy here pay here lots or check out other financiers to find the right price. Used vehicles are generally less expensive, which can help with both the monthly payments and with the down payment option, as well. 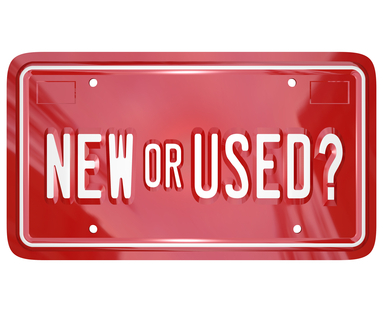 It’s best to consider a reliable used car with a good history — which can be checked for free at the National Motor Vehicle Title Information System. Also, Consumer Affairs advises borrowers with damaged credit to skip on all the extras, like GAP insurance, extended warranties or credit life policies. While they may seem to come with a low monthly fee, over the life of the loan you may be adding an additional $1,000 or more to the purchase price. And don’t be fooled … dealers will often tell you it’s required, but legally, it isn’t. It’s a good idea to research the average annual percentage rate for a person with your credit history. At least you will approach the application process with an understanding of the range you should be offered. However, if you aren’t perfectly satisfied with the rates, or if after a year, your payment history is good and your credit has improved, consider refinancing the loan. According to the DMV, the process is painless, and a loan with merely one percent lower interest rate can save you quite a bit of money.